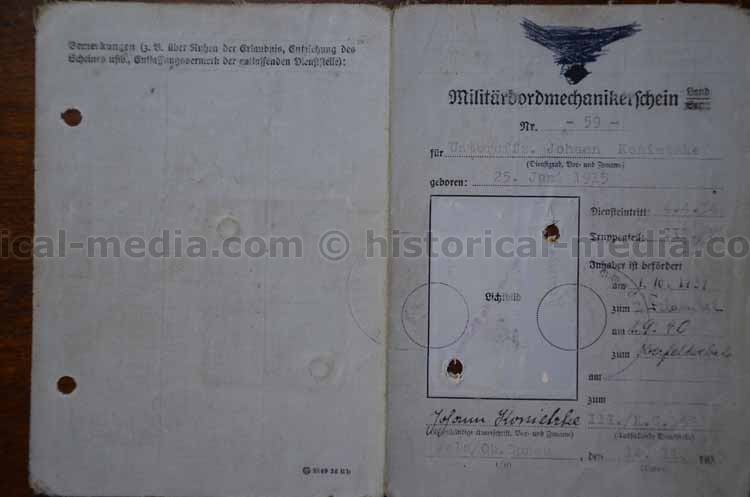 Grouping named to Oberfeldwebel Johann KONIETZKE. 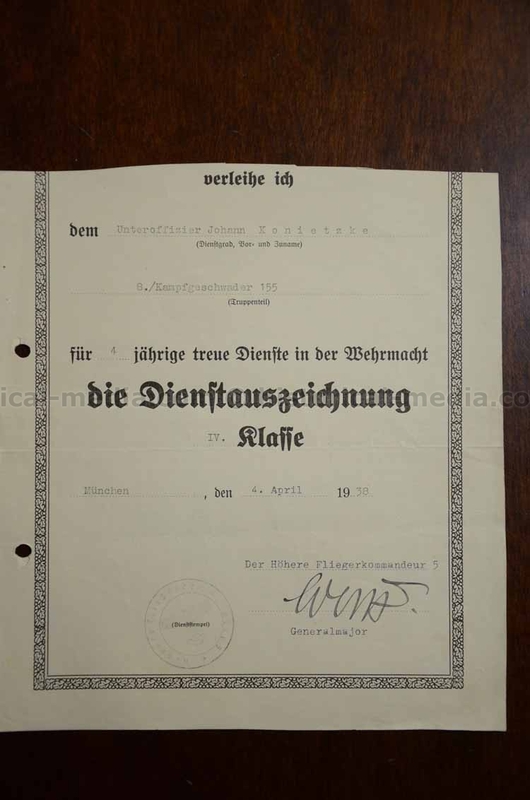 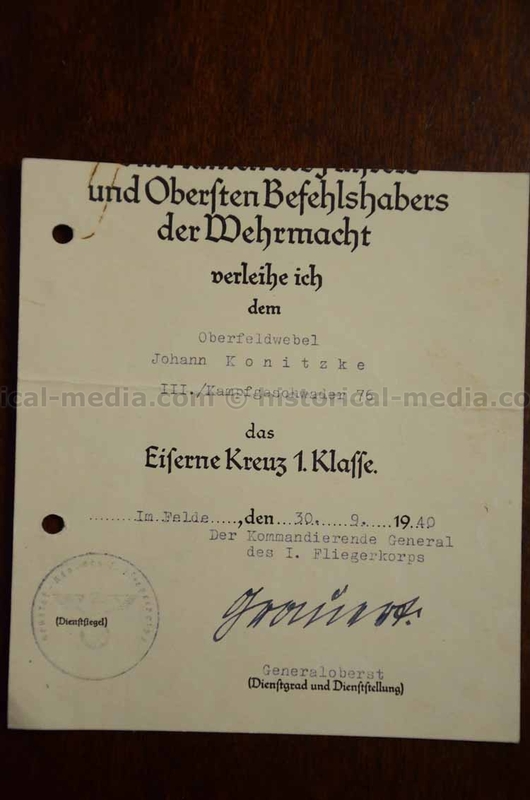 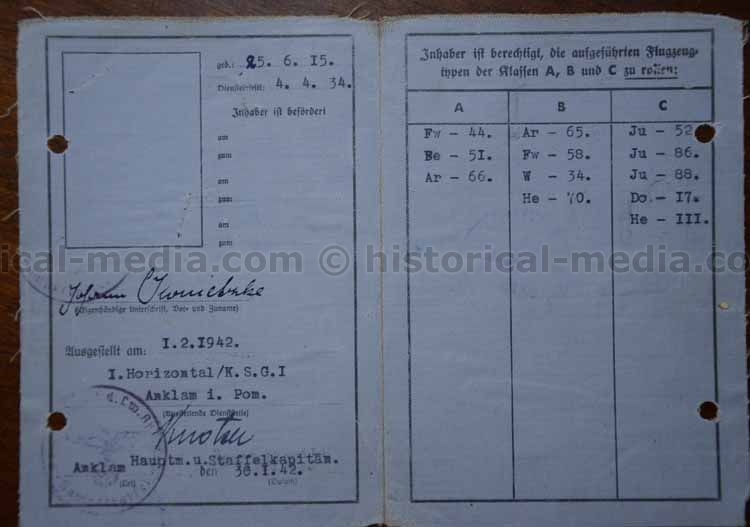 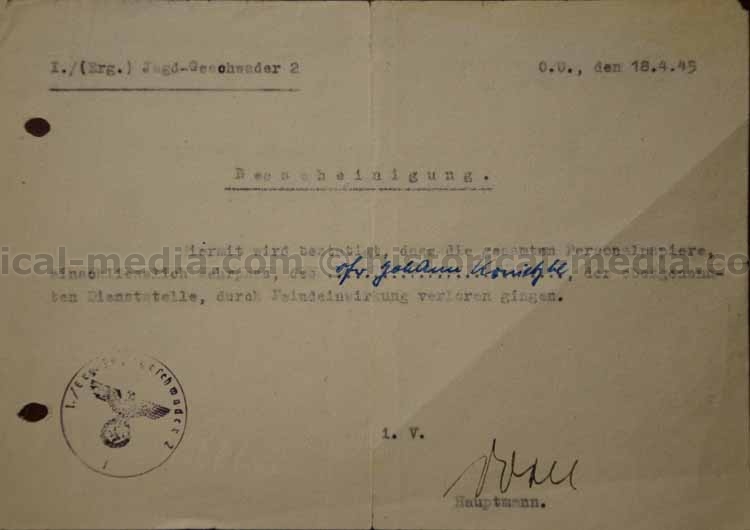 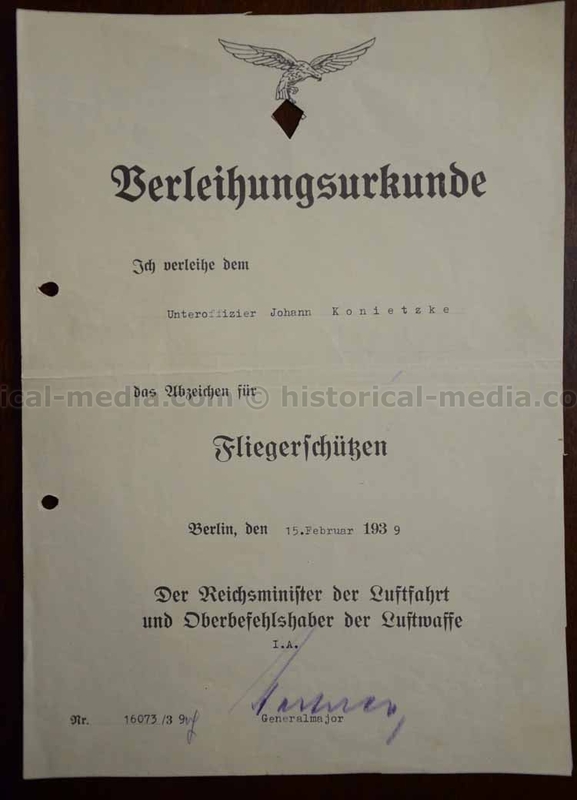 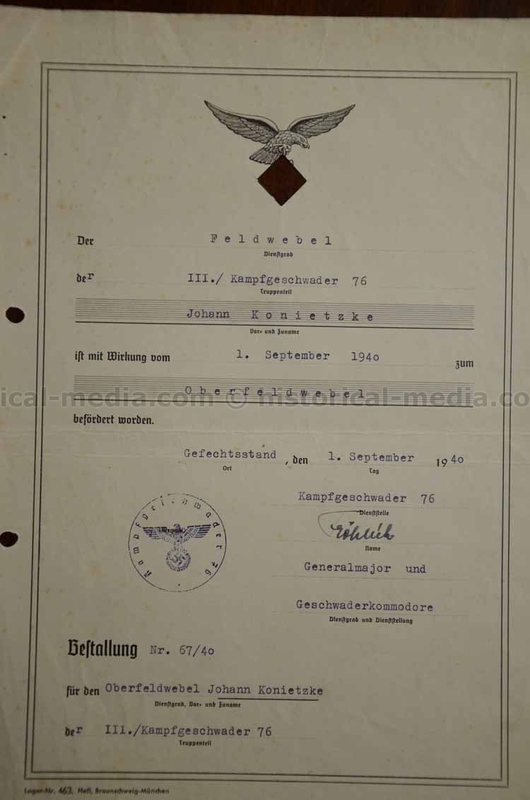 Extensive document grouping coiner his service with KG 76, KG 138, 155 and later as a FIGHTER PILOT with JG2. 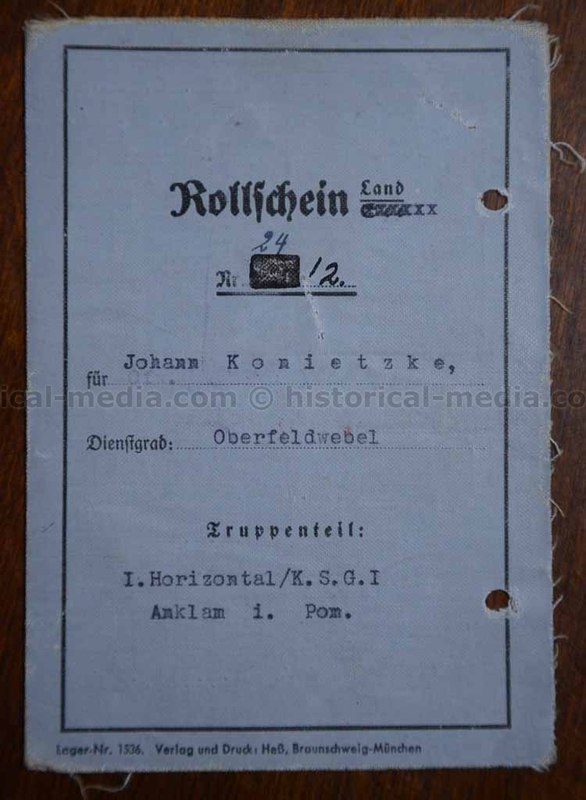 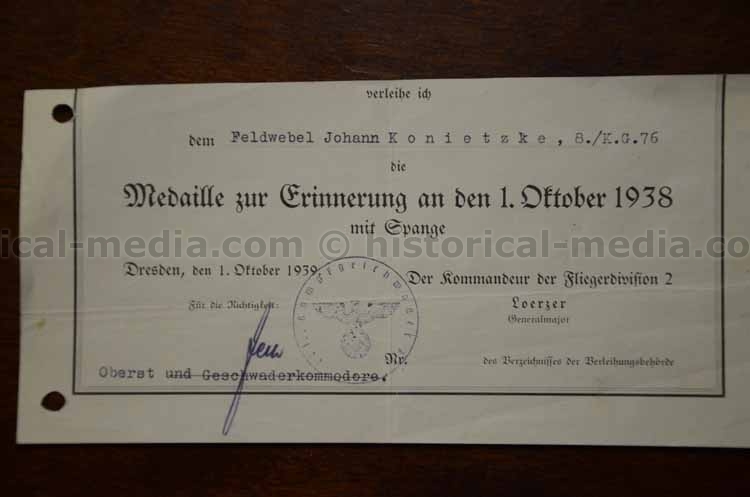 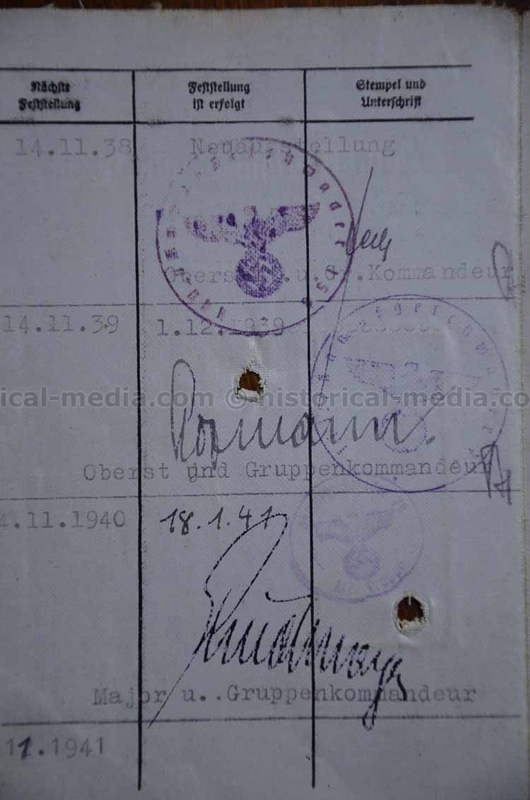 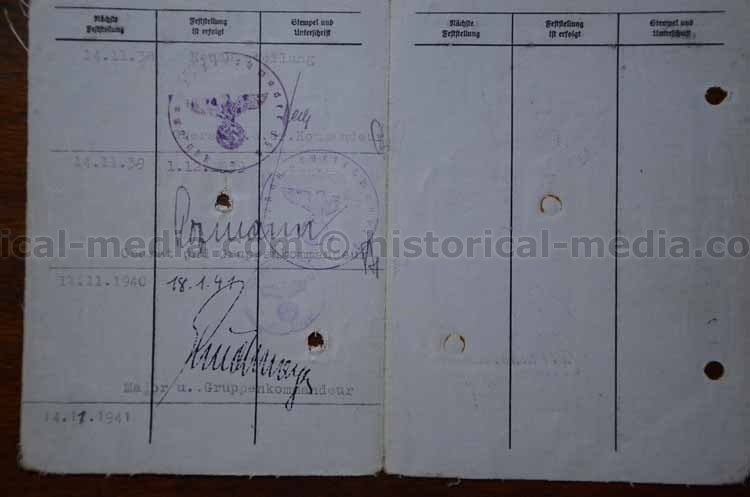 unfortunately most of the documents have been cut to remove any swastikas. 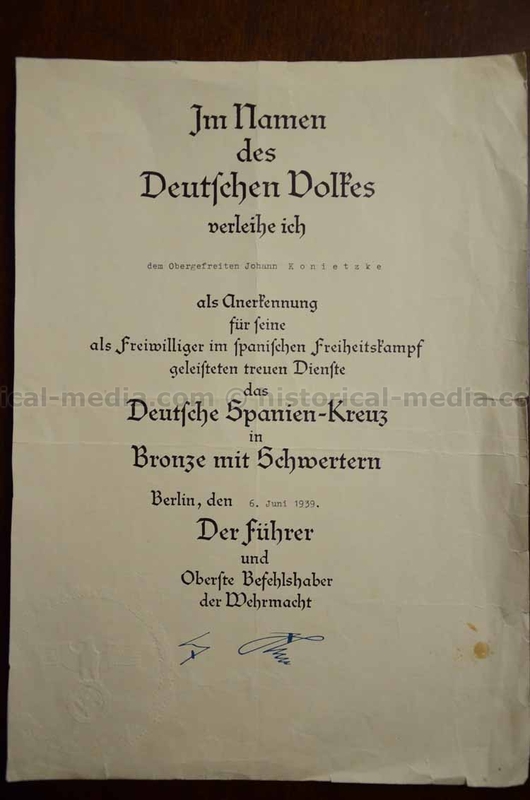 The Spanish Cross document is who but was trimmed to fit in a frame. 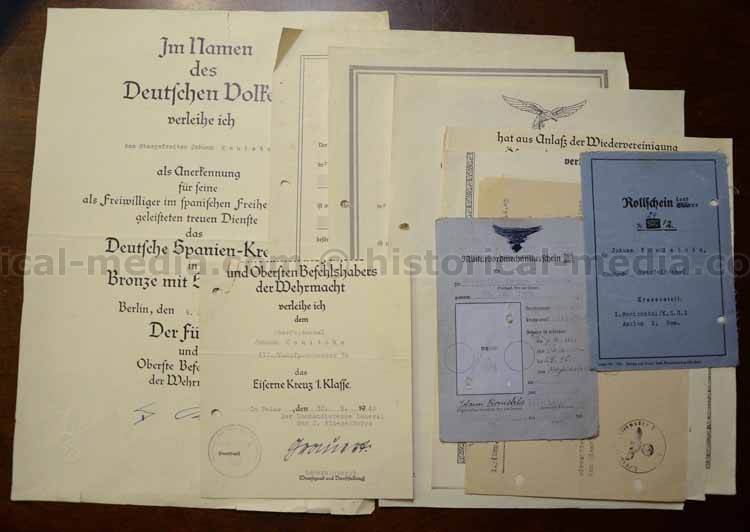 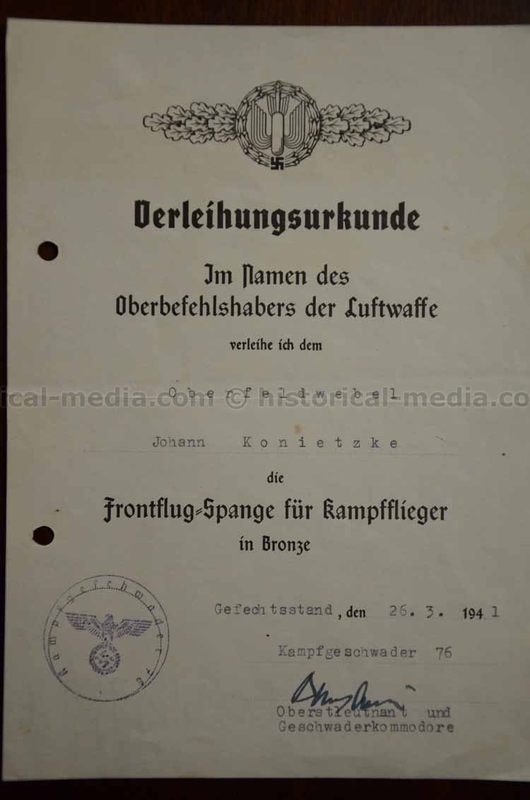 Comes with his Iron Cross First Class document with original signature 1 Fliegerkorps commander General Ulrich GRAUER (RK winner), Spanish Cross in Bronze with Swords, Bomber Flight Clasp in Bronze with orig sig KG76 commander, Four Year Long Service award Document with orig sig. 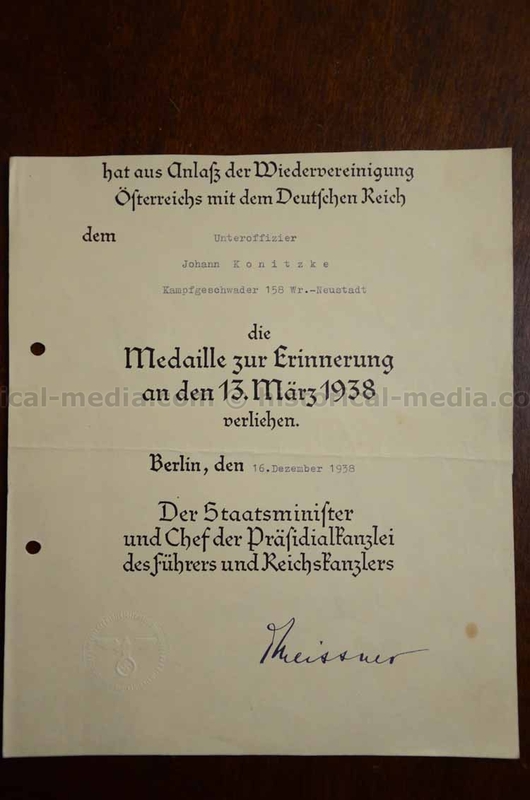 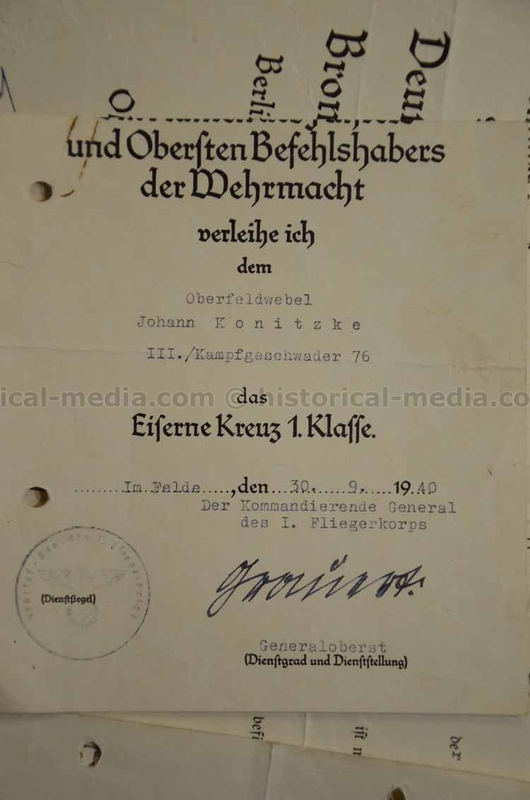 Gneral Ludwig WOLFF (RK-KVK), 13 Maerz 1938 medal, Air Crew Badge award document, Feldwebel promotion document with orig sig KG 76 commander Oberst Paul Schultheiss, Oberfeldwebel promotion document with orig sig KG 76 commander Oberst Stefan Fröhlich (RK winner), 1 Oct 1938 medal. 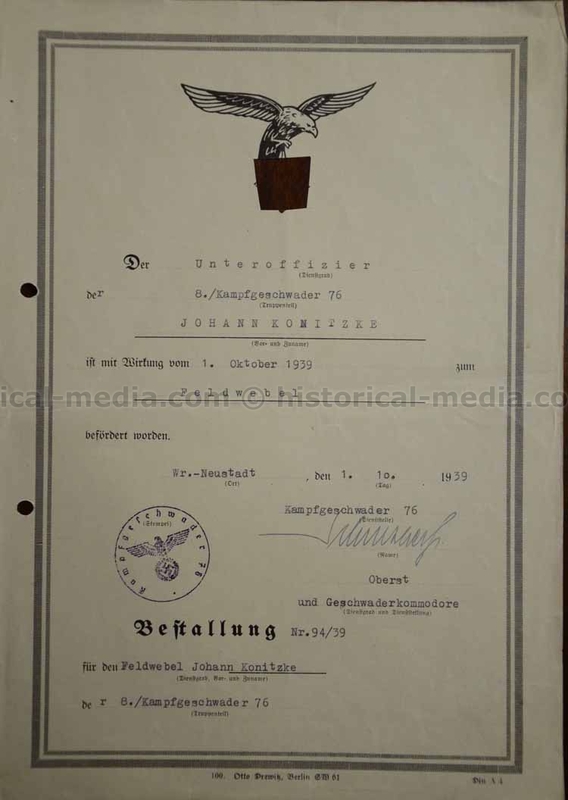 Also comes with his Rollschein & Miltaetbordmechanikerschein Ausweis, and more.